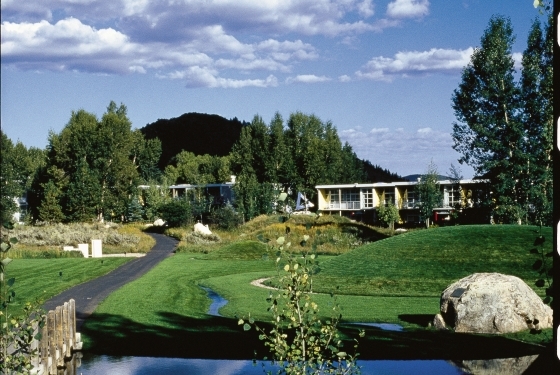 The Aspen Meadows Resort, home of the Aspen Institute, is located on 40 acres in the west end of Aspen.This Bauhaus-style property has 98 guest suites and 22,000 sq. 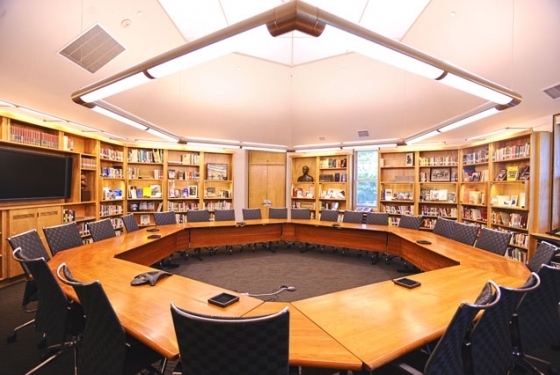 ft. of IACC Certified meeting space. 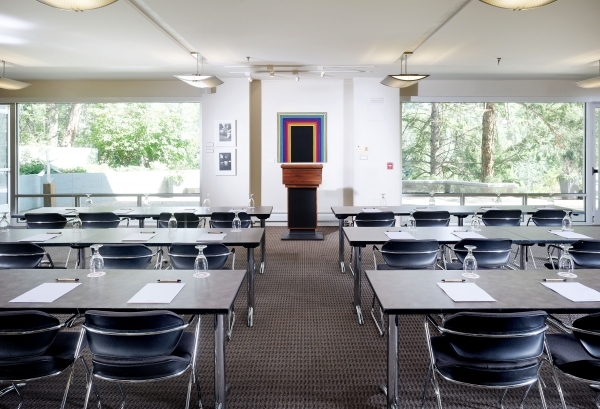 The Doerr-Hosier Center is the only Gold LEEDs certified conference facility in the Roaring Fork Valley. 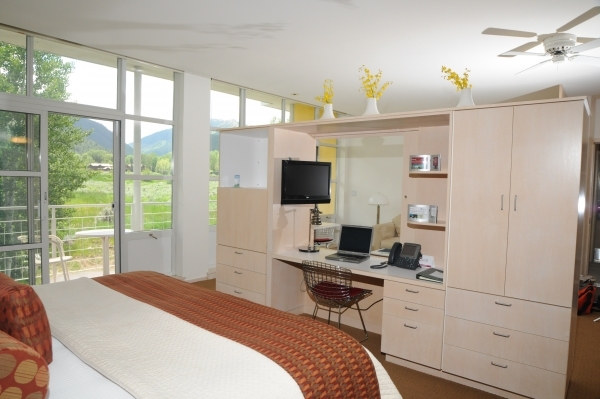 The Aspen Meadows Resort features two restaurants, health club, tennis facility, and 3 business centers. 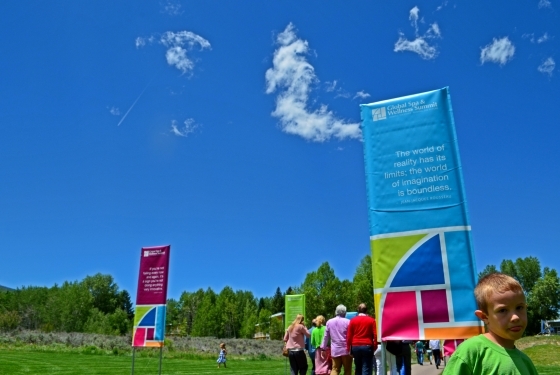 The Aspen Meadows Resort offers 22,000 square feet of different venues that can accommodate groups ranging in size from 20-300 people with an unprecedented level of service and amenities. 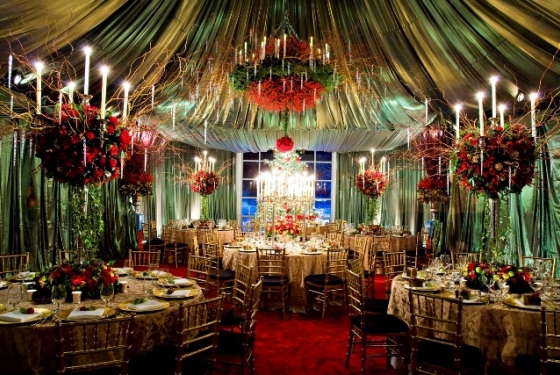 Our dedicated staff is available throughout the planning process to ensure your event exceeds expectations. 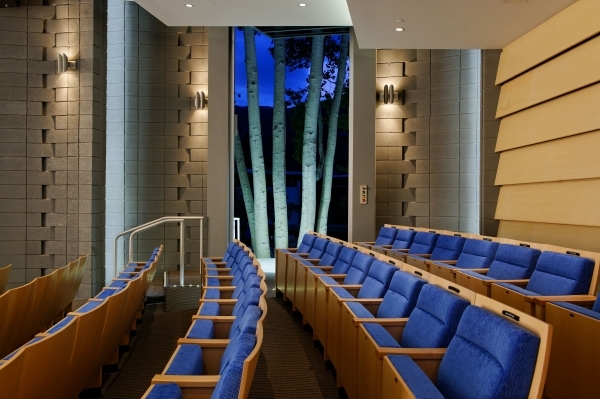 Largest Theatre McNulty Room- 4,235 sq.ft. 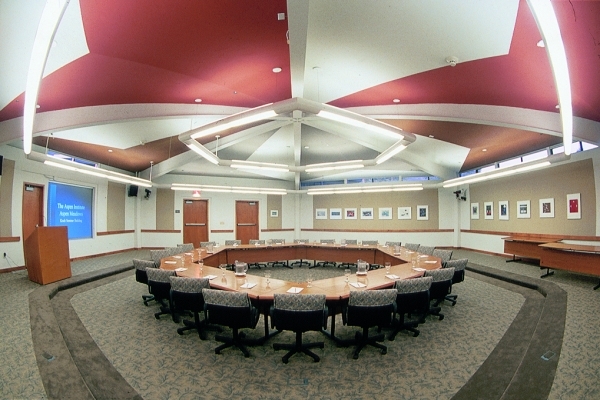 Largest Classroom McNulty Room- 4,235 sq.ft. 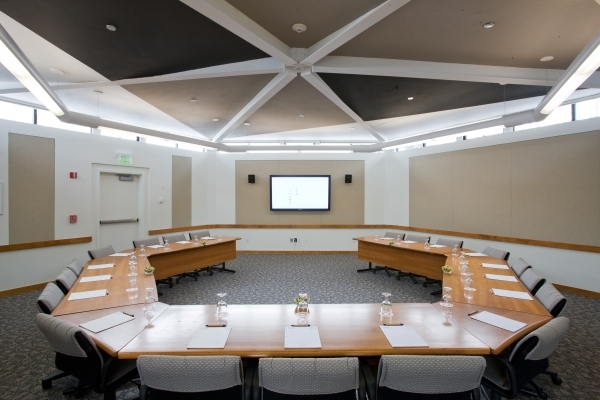 Largest Banquet McNulty Room- 4,235 sq.ft. 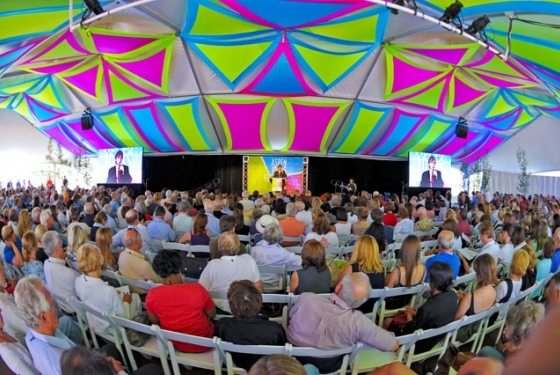 Largest Reception 400 ppl/ 6,000 sq.ft. Suites 98 Junior, one-bedroom and two-bedroom suites. Restaurants Plato's and the Meadows Restaurants are currently under renovation until June, 2018. Bars/Lounges Hefner Lounge is currently under renovation until June, 2018..
We have 98 guest suites ranging in size from 600-1200 square feet. 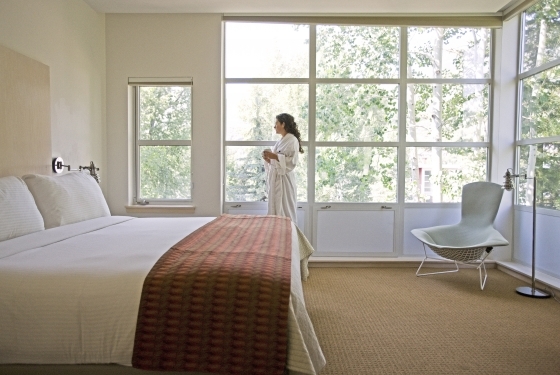 The rooms are decorated in the minimalistic European Bauhaus style. All rooms have a microwave, refrigerator, and coffee maker. There is a sitting area with a pull-out sleeper sofa and a work station. 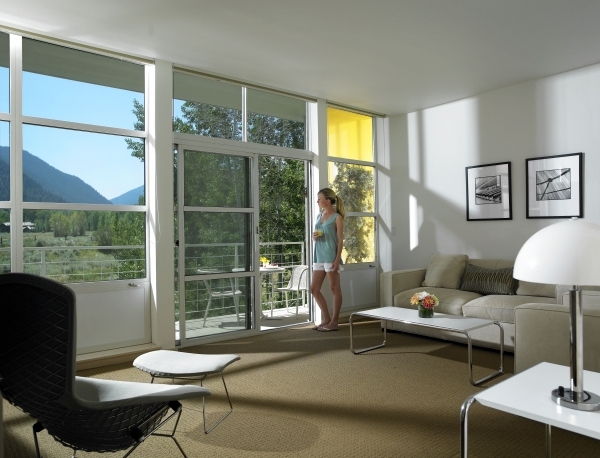 Most rooms have a balcony or patio with mountain views. Say “I Do” at one of Colorado’s most pristine wedding venues. 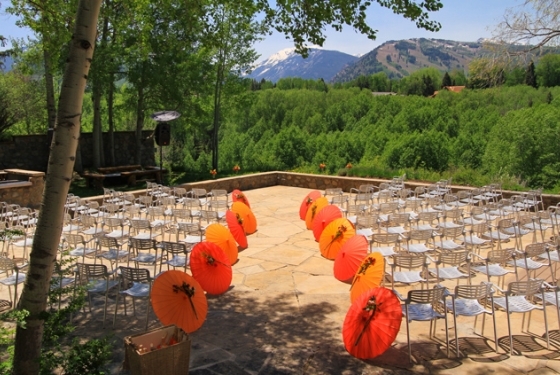 With sweeping views of the Rocky Mountains and the Roaring Fork River running nearby, the 40 acre Aspen Meadows Resort is the ideal location for your most special day. 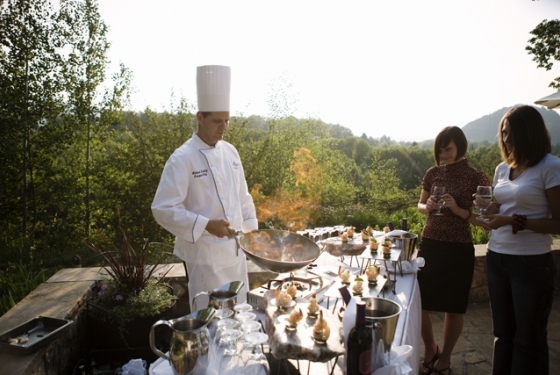 The Aspen Meadows Resort offers full wedding packages to cover all aspects of your wedding weekend. 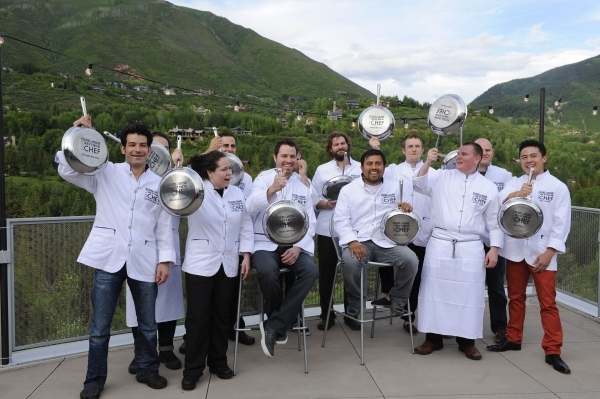 Whether your dream is intimate or as grand as the Rockies, we cater to your vision. 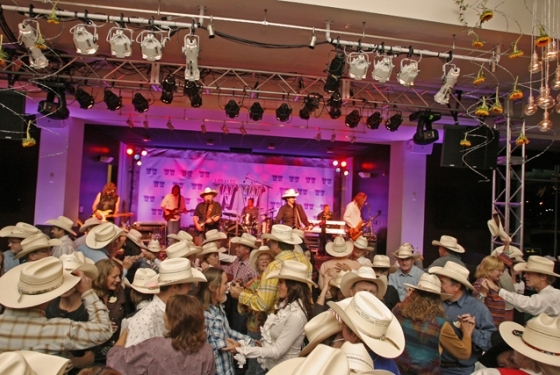 Offering both indoor and outdoor venue spaces, the Aspen Meadows Resort can accommodate up to 350 guests in a variety of locations. 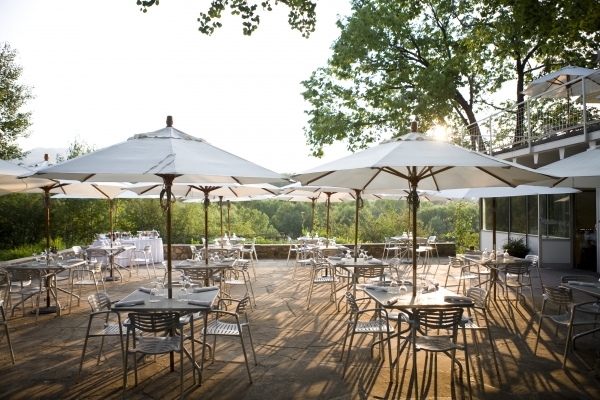 The stunning mountain backdrop make Anderson Park and Merrill Patio ideal for outdoor ceremonies. For a reception that guests of all ages will love, we offer Meadows Restaurant and McNulty Ballroom. 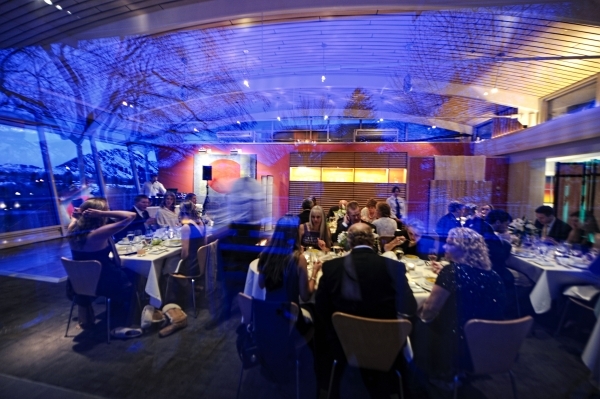 Our catering services will be tailored to your preference with anything from small bites to buffet style dining to seated dinner receptions. And the cake? 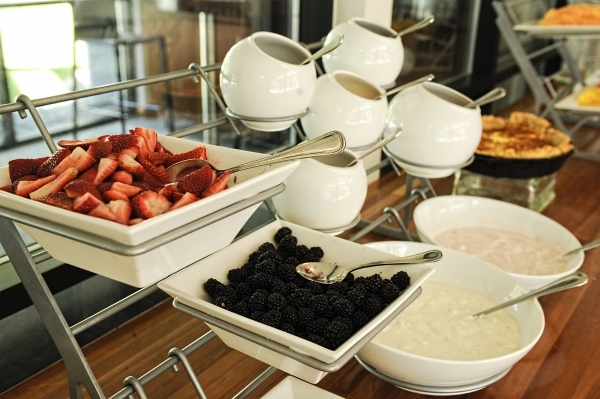 Our pastry chef will put together a delicious delight for all to savor. 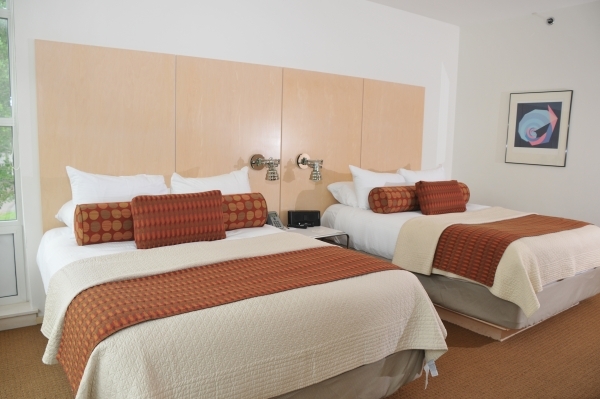 Additionally, our 98 spacious guest suites are convenient for the wedding party and attendees staying the entire weekend. 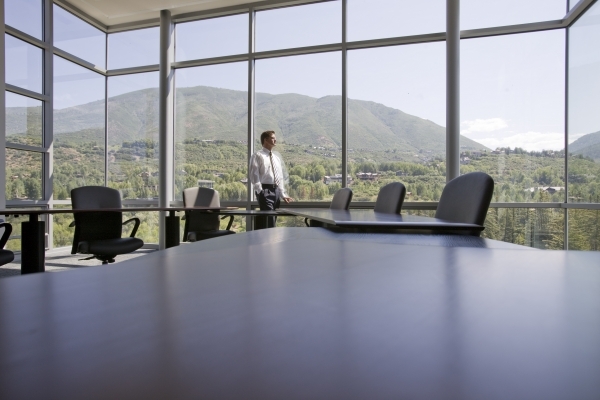 The Aspen Meadows Resort is truly a one-of-a-kind wedding venue offering luxury and comfort to ensure you and your significant other have a perfect wedding day. 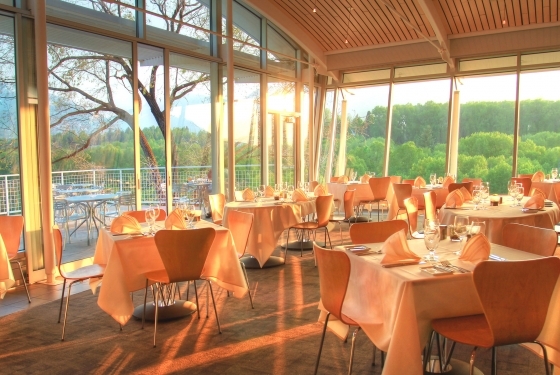 With exceptional service, extensive offerings, many options and beautiful spaces for all of your wedding day events, Aspen Meadows will provide a memorable wedding.